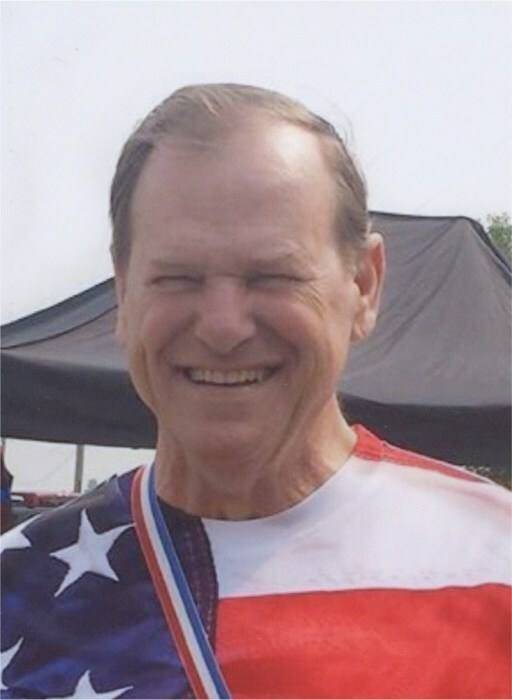 Larry Erickson, age 71, of Glenwood, formerly of Starbuck, died Monday, January 14, 2019, at St Cloud Hospital. Funeral services will be held at 11 A.M. on Friday, January 18th, at Fron Lutheran Church in Starbuck, with Pastor Paul Johnson and Pastor Matt Anderson officiating. Visitation will be from 5 - 7 P.M. on Thursday at the funeral home in Glenwood, and will continue on Friday at the church, one hour prior to the service. Interment will be in Fron Lutheran Cemetery, rural Starbuck. Arrangements are with Hoplin-Hitchcock Funeral Home in Glenwood. Larry Keith Erickson, son of Herbert Erickson and Mabel (Olson) Erickson, was born on November 5, 1947, in Starbuck, MN. He grew up on a farm near there, and was baptized and confirmed at Fron Lutheran Church. Larry attended school in Starbuck and was a 1965 graduate of Starbuck High School. He then went on to earn a degree in diesel mechanics from Alexandria Technical School. On January 27, 1968, Larry was united in marriage to Beverly Elaine Vold, daughter of Engebret and Esther Vold, at Barsness Lutheran Church in rural Glenwood. Larry and Beverly first made their home in Starbuck. On July 30, 1968, a mere five months after their wedding, Larry was drafted into the United States Army to serve in Vietnam. He was awarded the Bronze Star and an Air Medal for his service. He was honorably discharged on June 2, 1970. Following Larry’s discharge, the family lived in Delano and Starbuck, Minnesota until 1981, when they moved to Keller, TX for several years before moving back to Starbuck in 1987. After returning to his hometown of Starbuck, Larry worked as a farmer and diesel mechanic. He and Beverly shared 28 years of marriage before her death in 1997. Larry later moved to Glenwood, where he was residing at the time of his death. Larry enjoyed riding motorcycles, playing Canasta, watching sports and trying his luck with lottery scratch offs. He also enjoyed playing with his grandchildren and attending their sporting and other activities. Larry was a phenomenal dancer and loved to polka. In recent years, he kept fit by walking around town. Larry was quick with a joke and will be remembered for his wonderful sense of humor. He will also be remembered for his military service as a combat vet, and as a loving husband, father, brother, uncle, and grandpa (or as his grandkids called him, “Bumpa” or “Chocolate Papa”). Larry passed away peacefully on January 14, 2019, surrounded by family, at the St. Cloud Hospital. He is survived by his children, Brett (Heidi) of Starbuck, Shana (Ryan) Erickson Hoffman of Minneapolis, Merritt (Shane) Oberg of Lowry, and Darin (Denice) of Queen Creek, AZ; seven grandchildren, Brooklyn, Courtney, Rachel, Taylor, Dylan, Nolan, and Carson; three sisters, Sheila (Dale) Engebretson of Buffalo, MN, Julane (Jim) Kalina of Surprise, AZ, and Brenda (Ted) Breckheimer of Mound, MN; and two brothers, Wayne of Starbuck and Arlan (Hardi) of San Tan Valley, AZ; and his longtime companion, Jan Schotl of Clear Lake, MN; as well as many nieces, nephews, other relatives and many friends. Larry was preceded in death by his parents, Herbert and Mabel; his wife, Beverly Erickson; and his nephew, Keith Lundsetter.